A place to feel loved. A place to feel wanted. A place to help others. A place to have meaningful conversations. A place to learn godly advice. A place for every MOM of preschoolers! 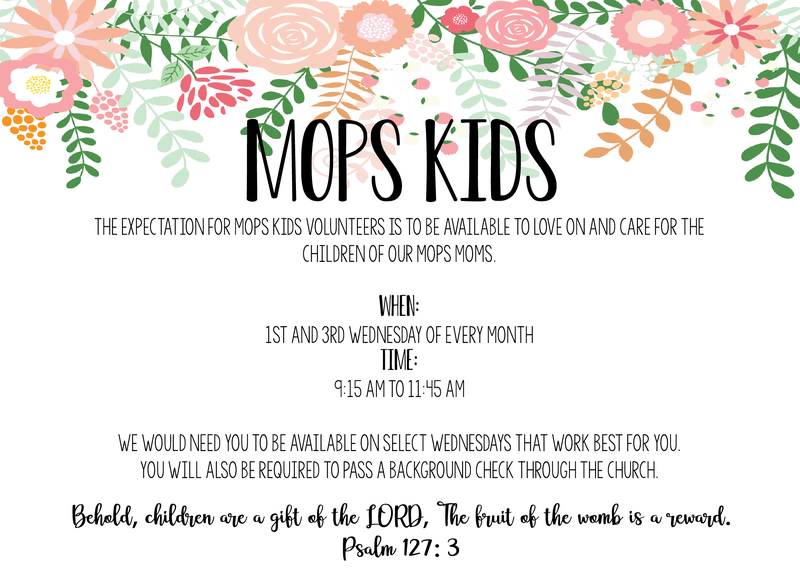 Motherhood with preschoolers can be exhausting and lonely at times, but having a place like MOPs to come to and debrief and hear encouragement from other moms who are currently dealing with my same struggles has been life changing! I always leave our meeting feeling recharged and excited about my mission as a mom. 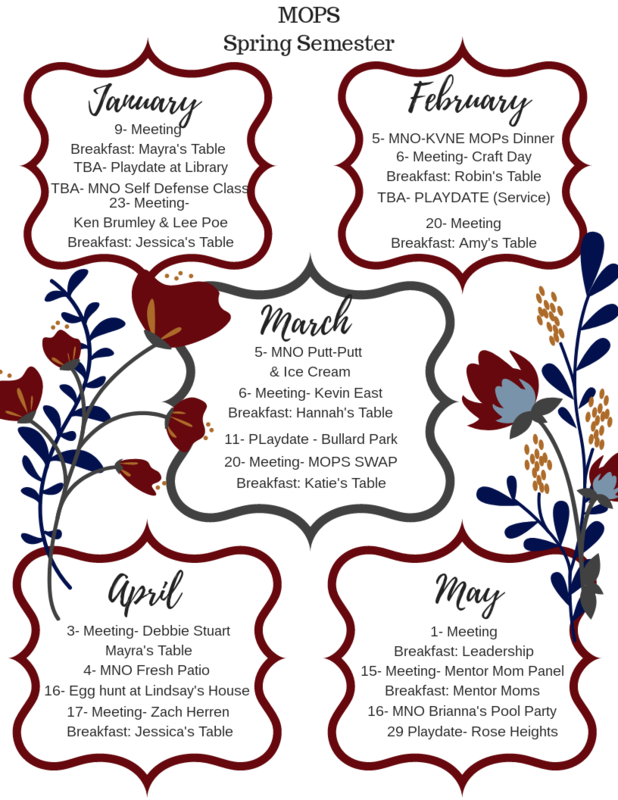 I’m so excited that we now are able to invite more moms to join our group. If you are a mom of preschoolers of any age and could use some encouragement and honest friendships, this is the place for you! I personally would love to invite you to join our group this next semester, you won’t be disappointed! Please email me at [email protected] and I can get you all the info you need! Please know you aren’t alone, their are many moms who would love to walk beside you on your journey through motherhood!